Showing recent results 2971 - 2985 of 4490 products found. Fixed high voltage insulation tester SVS-50M is designed for testing the insulation properties of insulating rods, rubber boots, gloves, electrical and DIY equipment, etc. with AC high voltage with mains frequency, adjustable between 0 - 50 kV. 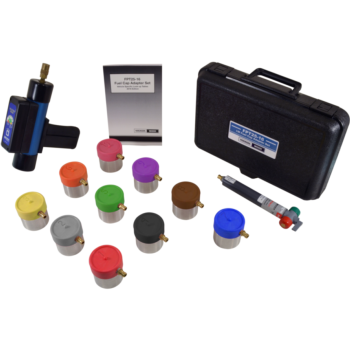 Battery operated handheld tester electronically check's a fuel cap's ability to hold pressure.Complete set of cap adapters that meet EPA standards for recommended fleet coverage.Pass / Fail Standard for daily calibration checks.Brightly colored LEDs indicate NO LEAK, PASS, or FAIL test results in seconds. 80-91 - Testing Machines, Inc. 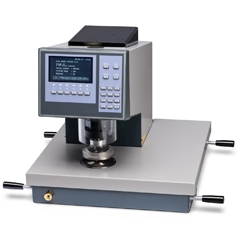 The Lab Master® Peel Tester for Release and Adhesion testing operates with Windows®-based software, and features the ability to create user-defined test set-up, individual test speed selection, user-definable default areas for analysis, exporting of graphs or data to Microsoft Excel and SPC programs, and enhanced calibration procedures. 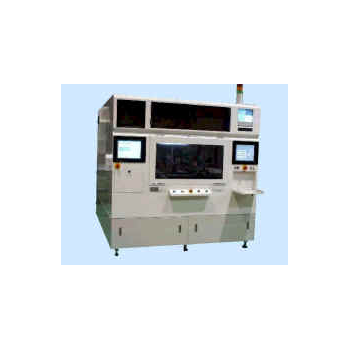 The GATS-8300 Tester is one in a series of Test Systems designed for testing multiple-image panel using a Step & Repeat process. Rather than fixture the entire panel for electrical test, you simply fixture for one (or more) images. The GATS-8300 will Step the fixture across the entire panel and Repeat the electrical test at each step. 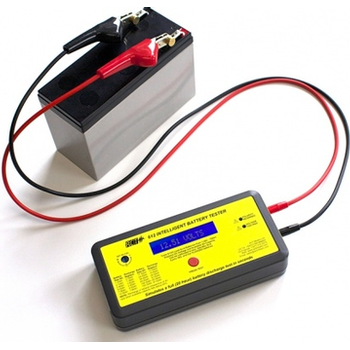 This digital battery tester is designed for testing 6V and 12V standby SLA, cyclic GEL and car FLOODED batteries. Simple in operation, the ACT 612 simulates a full 20 hour (C20) discharge test in seconds and displays the DC Voltage results and Ah capacity available. HDLT - Hention Electrical Equipment Co., Ltd. 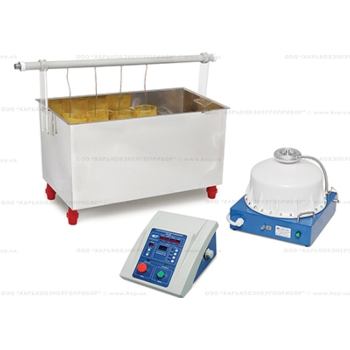 This integrated precious insulation oil dielectric loss tester is for measuring dielectric loss TAN and capacitance of transformer insulation oil.This is a high precision instrument; integrated with oil cup, temperature control instrument, temperature sensor, dielectric loss test bridge, AC test power, and standard capacitor, etc. VA588 Insulation Multimeters combine a digital insulation tester with a full-featured digital multimeter in a single, compact, handheld unit, which provides for both troubleshooting and preventative maintenance. This meters are ideally suited to help you with your tasks and at a cost that is far less than buying the two products. 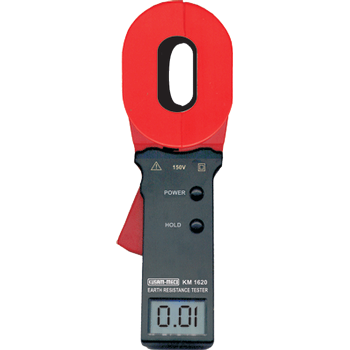 The U1451A insulation resistance tester from the U1450A series is ideal for predictive and preventive maintenance measurement tasks in electrical and industrial applications. With its vast measurement capabilities, efficient automated report generation and high durability, you can accomplish more in a day's work. The U1452A insulation resistance tester from the U1450A series is ideal for predictive and preventive maintenance measurement tasks in electrical and industrial applications. With its vast measurement capabilities, efficient automated report generation and high durability, you can accomplish more in a day's work. 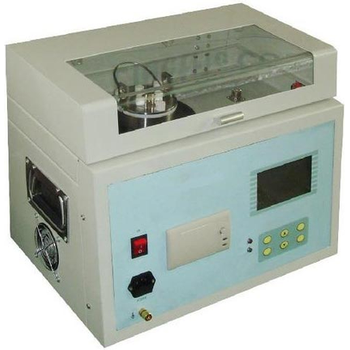 KM-1620 / KM 1720 single-jaw type Earth Resistance Tester is widely used for earth resistance testing of the equipments in the field of power, telecommunication, weather, as well as the other electrical equipments with the function of easy operation, high-accuracy and good adaptation of testing environment. 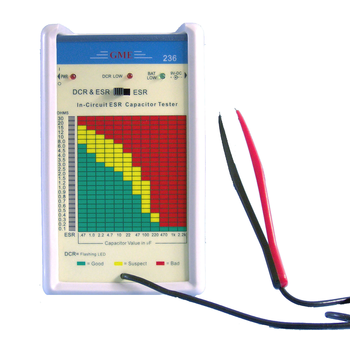 This In-circuit ESR & DCR capacitor tester is designed to measure ESR (equivalent Series Resistance) on capacitors range from 0.47uF to 2200uF, in or out of circuit. The ability to trouble shoot in-circuit saves time and makes the 236 a must for anyone that tests or trouble shoots PCB (printed circuit boards). The main function of the VFR 6000 tester is to test material's VFR(Forward Recovery Voltage) values, not including DC characteristics. It uses a fixed-direction testing. There are 10 groups for setting and saving programs. In addition to this, Xceltron is active in the research and development of production management system software that can provide all types of reports and analysis diagrams. 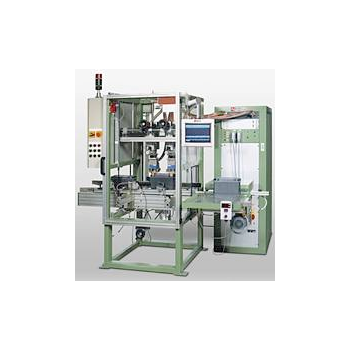 The Production Line Tester (PLT) is typically installed at the end of battery production lines (finishing). An electrical load test after formation charging is essential to assure performance and quality. The energy discharged during this test must be minimized to eliminate the need for recharging after testing. 13-62 - Testing Machines, Inc. 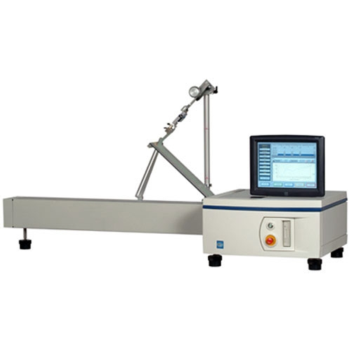 Burst Testers are used as a multi-directional tensile test to identify failure in the direction of least resistance for evaluating physical burst strength and fiber bond in textile and nonwoven materials. Models are available to test a variety of materials. These models can also be fitted with a device to measure the deflection of the sample prior to burst. The PSMR1 combines two meters with three functions. 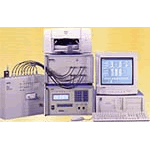 It includes a 3-phase sequence indicator with a motor rotation tester. 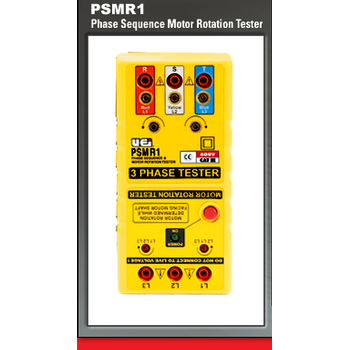 Prevent damage to equipment by using the PSMR1 to check supply line phase orientation for devices such as scroll compressors or motors prior to installation.